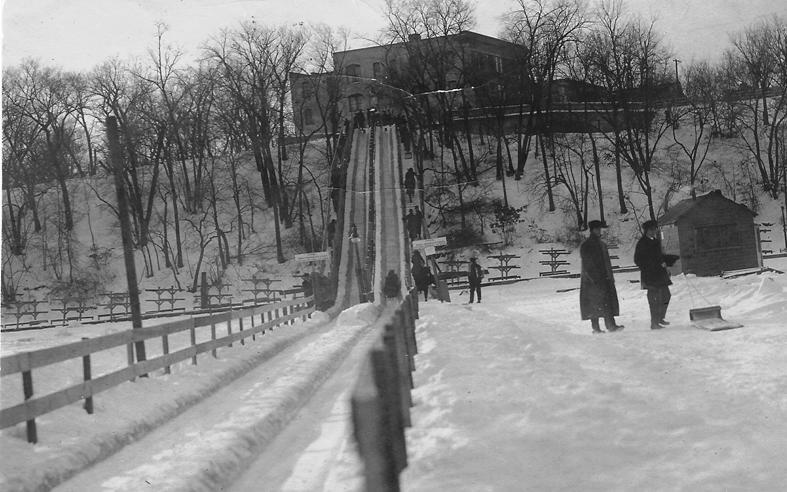 It sounds like the toboggan slide was short-lived, perhaps only a couple of years? Thanks, Pamela, good find. I should have remembered writing that! Wow clearly there were no liability lawyers back then. Looks like a wild ride! That had to be one reason they disappeared. That would be an interesting research topic: whether the park board was actually sued for injuries on such things. Anybody with a few hours free? Thanks for your observation. Was this put up for just one winter season and taken down in the spring? Good question, thanks. I believe it was taken down each spring. I don’t know how many years it was put up. 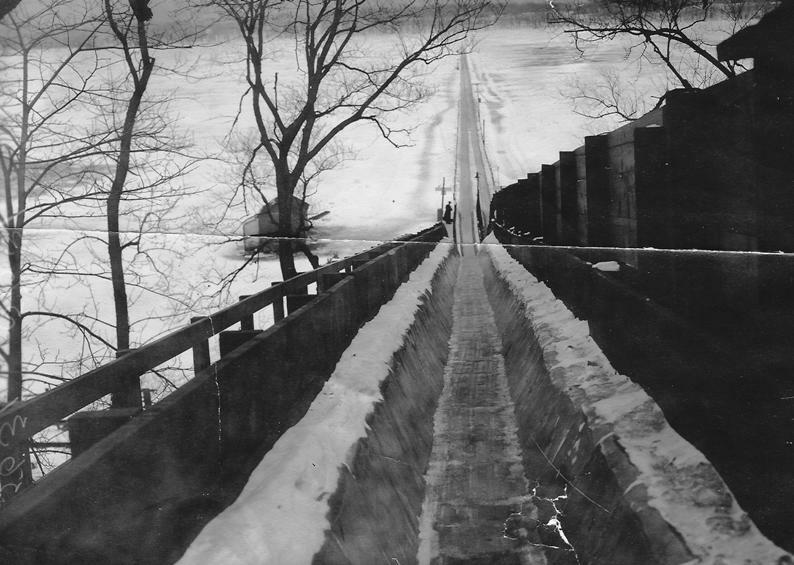 Down at the Lake, a book by the Linden Hills History Study Group, includes a picture of a toboggan slide about fifty yards further south. Do any Linden Hills people know more of the story?